Did the Māori electorates decide the 2017 election? Te Ururoa Flavell and Marama Fox believed Bill English deserved another three years. Labour’s triumph in the Māori electorates in the 2017 general election — it won all seven — ousted the Māori Party from parliament and deprived National of a coalition partner. In this extract from Stardust and Substance: The New Zealand General Election of 2017, Morgan Godfery looks at what happened and why. 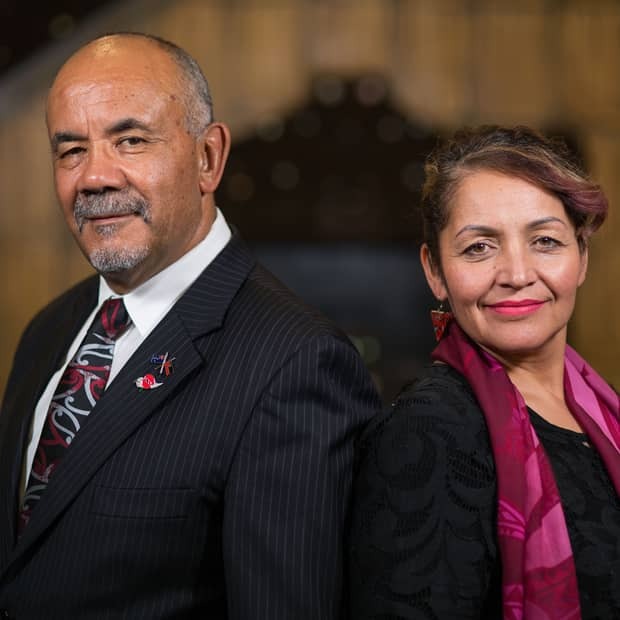 Consider this neglected counterfactual, a what-might-have-been on election night: if Māori voters backed the Māori Party, returning Te Ururoa Flavell and Marama Fox to Parliament, National might have patched together a government. It seems like a distant memory, but it’s a useful reminder — the election was a close-run thing. The Māori electorates mattered. Bill English and his caucus came home with 58 seats, and ACT’s David Seymour did his duty in Epsom, leaving the centre-right two seats shy of forming a government. If Flavell and Fox were still MPs the morning after, would we be talking about a National-led government instead? That same morning, Fox told Three’s The Hui that opting for Labour over the Māori Party meant returning to “the age of colonisation”. Perhaps this is heartache and regret speaking, but you can still identify a preference for a National-led government. National and the Māori Party spent nine years in government together, and better the devil you know, as the saying goes. But this counterfactual comes with a qualifier: in the end, the special votes would have put a National–ACT–Māori Party government just out of reach. National lost two seats after the special votes were confirmed. Even with Flavell and Fox, the maths would only work in the three-week interregnum between election night and the confirmed results. But three weeks is more than enough time for the partisans to get to work. National has a moral mandate. The public expects a National-led government; anything less is a robbery. Winston Peters and New Zealand First would have felt cornered. How close did we come to a fourth-term National government? Well, not that close. Labour’s Tamati Coffey took the Waiariki electorate with 53.7 per cent of the vote to Flavell’s 46.3 per cent, with 1,719 votes between the two. Without Waiariki, Fox was out too, and so voters knew they were taking part in a referendum on the Māori Party itself. These were the stakes, and the result stunned the commentators (for the record, not this one). How could a newcomer like Coffey unseat a four-term incumbent like Flavell? Former United Future leader Peter Dunne would go on to call it the only “genuine surprise” on election night. 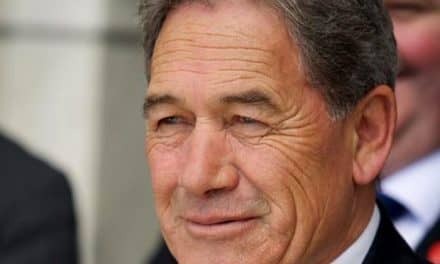 But as the commentators were hunting for explanations and answers, one fact went unaccounted: Coffey managed to more than double the vote of Labour’s 2014 candidate, Rawiri Waititi — securing 12,362 votes as against 5,837 in 2014 — and almost double the Labour party vote — winning 14,144 votes (59 per cent) in 2017, compared with 8,595 (38.8 per cent) in 2014. This is extraordinary, first in scale, but also in that so few were expecting it. This was not supposed to happen. In February, the Mana and Māori parties met in Whangarei to commit to a kawenata — an agreement — where neither party would stand against the other. 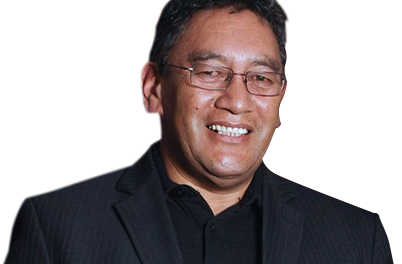 The Māori Party would stand down in Mana leader Hone Harawira’s old electorate, Te Tai Tokerau, and Mana would stand down in Waiariki, giving Flavell a clear shot at retaining the seat. The thinking went something like this: Māori Party voters would back Harawira in Te Tai Tokerau and Mana voters would fall behind Flavell in Waiariki. Things were supposed to be sewn up. But this is where tactical thinking can obscure the strategic. The kawenata won a good deal of “earned media”, but the agreement itself made little sense. Mana and the Māori Party split over the latter’s confidence and supply agreement with National, but that agreement would remain in place post-kawenata, meaning there was no good reason for Mana voters to back Flavell if he remained committed to National (and no good reason for Māori Party voters to back Harawira if he still refused to work with National). 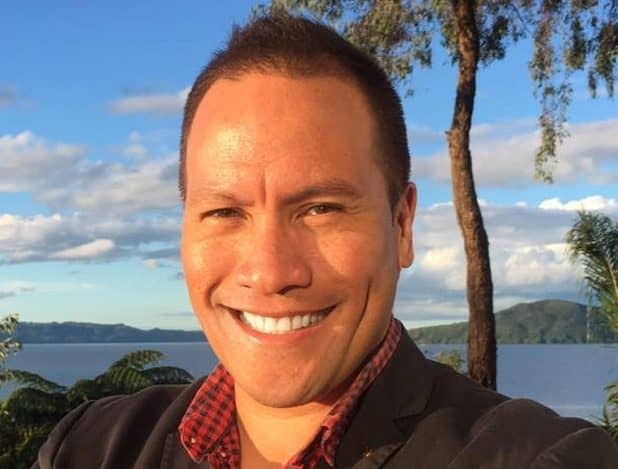 Tamati Coffey knew that the battle for Waiariki would be won on the doorsteps, not on the marae. In other words, Labour’s Coffey would become the beneficiary of his opponent’s kawenata. Perhaps the commentators should have seen it coming. In June, Labour’s internal polling put Flavell on 31 per cent with Coffey closing in at 30 per cent, an unimaginable result only 12 months earlier. It seemed safe to assume a newcomer like Coffey would struggle against the Minister for Māori Development. But Coffey proved more wily than many were expecting, revealing that Flavell’s expensive Māori Housing Network had only seen 11 homes built. It was a devastating headline: $35 million over four years and fewer than a dozen homes built. Labour’s Māori team could sense an upset with campaign manager Willie Jackson joining Coffey on the campaign trail in Murupara, a hollowed-out forestry town in the heart of the electorate. “Te Ururoa Flavell and Marama Fox need to stop wasting time trying to get ASB to boycott Mike Hosking and spend more time on trying to get those banks to invest in our local communities,” Jackson wrote after visiting Murupara. That same week, Flavell and Fox had pulled Hosking to pieces, criticising his bogus claim that only Māori could vote for the Māori Party. But Jackson’s piece made it seem as if this was an elite concern, a controversy far removed from the lives of people in Murupara. In the end, this is where Flavell struggled — in the deep red hinterlands. Rotorua came home for their favourite son with Flavell taking a disproportionate share of the vote in his own kāinga, Ngongotaha, a northern suburb of Rotorua, but he struggled in towns like Te Puke and Whakatāne, where voters came out for Coffey. As a minister, it is hard to cover the same ground as a full-time candidate — there is work to do in Wellington — and Coffey knew as much, running a kanohi ki te kanohi (face-to-face) campaign across the electorate. In an Ika Table Talk session in 2016, Coffey told the audience the battle for Waiariki is won on the doorsteps, not on the marae. It seems he was right (though was there ever any doubt?). Coffey had the goods. Granted, this is unquantifiable, and something you can only read into a result after it happens, but it seemed clear enough from the campaign trail. At a town hall meeting in Kawerau, another mill town 45 minutes’ drive from Murupara, Coffey had the crowd at his feet. In one skit he read the weather for Westeros, a continent in “Game of Thrones”. The crowd went mad for it. Patrick Gower calls this “the vibe”. People on the ground knew it was against the Māori Party. Coffey would go on to win nearly 63 per cent of the vote in Kawerau, his best result across the electorate. But keen campaigning is only half the story. “After nine years of this National Government, propped up by the Māori Party, there’s not a lot to brag about,” said Kelvin Davis in a straight to the point press release in February. “Māori are more likely to be overweight, depressed, homeless, incarcerated and uneducated”. This is the aggressive message some candidates took to the doorstep. Other candidates were reminding people at hui that 139,000 people were out of work at the beginning of that year, 34,000 more than when National and the Māori Party took office in 2008. Some thought this messaging too harsh, but it did no more than call the Māori Party to account for its record. This can be called the Matt McCarten strategy. 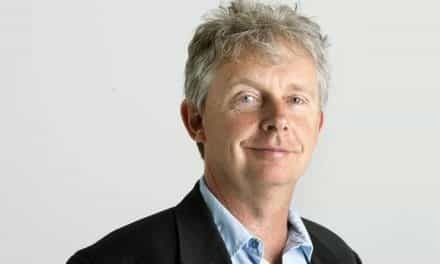 Under McCarten, Andrew Little’s former chief of staff, Labour’s campaign would focus on finishing off National’s weakest support partners — Dunne in Ōhāriu and Flavell in Waiariki. Considering the counterfactual at the opening of this chapter, the strategy was an inspired one. Labour ran hard, with Little going as far as telling Radio New Zealand that the Māori Party “is not kaupapa Māori”. Labour’s Māori seat MPs came off the party list too, undoing the “two-for-one” argument where voters opt for Harawira in Te Tai Tokerau and Flavell in Waiariki and get Davis and Coffey in off the list as well. It is an exhausted truism, but worth restating for the record: Māori voters are tactical. In June 2011 Harawira won the by-election in his old Te Tai Tokerau electorate off the back of the argument that a vote for Harawira is as good as a vote for Davis, a list MP who would return to Parliament no matter the result. Labour took that option off the table in 2017 and they were criticised for doing so. Flavell declared them “whipped”. Fox called it “astounding”. Bill English labelled it “negative”. One News reporter Yvonne Tahana, one of the better analysts of Māori politics, wrote the move might “backfire”. Perhaps the move was cynical. Or perhaps it was arrogant. I think it was understandable, even if it was self-interested. Either way, it was effective. Labour’s list-moderating committee considers demographic factors when ranking its list candidates; with sitting Māori electorate MPs off the list, newcomers like Jackson, Willow-Jean Prime and Kiritapu Allan won top spots. The Labour Māori Caucus Front (from left) Louisa Wall, Willie Jackson, Meka Whaitiri, Kelvin Davis, Nanaia Mahuta, Peeni Henare and Kiri Allan. (Rear – from left) Adrian Rurawhe, Willow-Jean Prime, Rino Tirikatene, Tamati Coffey, Paul Eagle and Jo-Anne Luxton. Following the 2017 election there were 13 Māori MPs in Labour’s caucus — seven Māori electorate MPs, two general electorate MPs and four list MPs. This is the largest Māori caucus in the history of the New Zealand Parliament. And nearly one third of Jacinda Ardern’s ministry is Māori too. This is ambition the Māori Party struggled to match. Even with Māori elites at their back, the party seemed, well, small. Kingi Tūheitia endorsed Māori Party candidate Rahui Papa in Hauraki-Waikato in March, only helping conceal how little support the party had on the ground: Labour’s Nanaia Mahuta — the King’s cousin — lifted her share of the candidate vote by ten percentage points: from 61.6 per cent in 2014 to 71.6 per cent in 2017. The Māori Party spent the last nine years arguing that it is better to be at the table than not. Fewer and fewer voters agreed, with Fox struggling in Ikaroa-Rāwhiti, winning only 36 per cent of the vote to Labour’s Meka Whaitiri’s 55 per cent. None of this is to say that Labour’s victories were always a sure thing. In a poll conducted in July and released in September, Labour’s Te Tai Hauāuru candidate Adrian Rurawhe came in at 39 per cent support, well behind the Māori Party’s Howie Tamati on 52 per cent. If the Māori Party were going to pick up a seat, this was it. 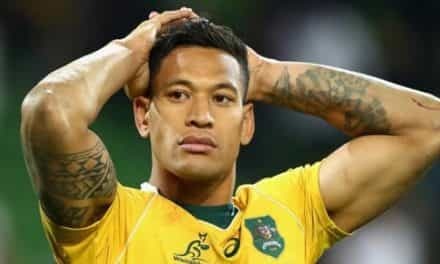 Tamati, a former Kiwi league star, came to the race with name recognition, local government experience and whakapapa (genealogical connections). Here was a candidate from central casting. Yet on election day, Rurawhe would go on to win 45 per cent of the vote to Tamati’s 42 per cent. Jacinda happened, and the national polls went up, up, and up again. But the impact on the Māori electorates seemed uncertain. Would she take? The Māori Party seemed to think so, releasing a statement urging Ardern to work with the party. Even Fox approved, telling media “it’s the best practical move they’ve made in the last three years”. The implication was: until now. But Ardern’s impact only became obvious post-election, on the morning of 24 September and then subsequently at Waitangi the following February. 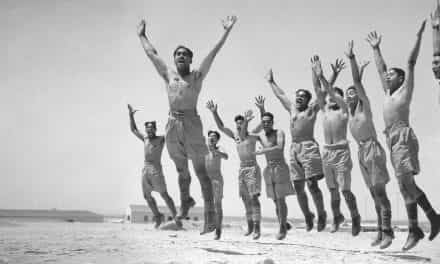 The seven electorates had returned “home”. Māori communities were charmed. But with or without Ardern, it seemed probable that Labour would retain its six electorates, if not pick up the seventh. Polls put Labour candidates in front in five electorates. Even in Te Tai Hauāuru, where Rurawhe trailed, people were wary of making the call, perhaps remembering that the very same poll in 2014 put Rurawhe on 29 per cent support, only for him to win the electorate with 41 per cent of the vote. It is recognised that Māori electorates are especially hard to poll. People come on and off the roll, their details change, and they are spread across electorates larger than some European countries. Sometimes Gower’s “vibe” is the best measure we have. This is where Ardern excels, earning enormous credit in Māori communities after meeting with ngā mōrehu — the mostly Māori survivors of abuse in state care — in her first week as leader. Davis, the new deputy, went as far as telling media in his first stand-up “kei te tuwhera tonui” — the door is open to the Māori Party (and perhaps a seat at the table too). This was not so much a U-turn as a full 360 turnabout. Under Little’s leadership, Labour and the Māori Party were at each other’s throats. Flavell condemned Ikaroa-Rāwhiti MP Meka Whaitiri as a liar, a charge without evidence, and Whaitiri criticised Flavell’s confusing proposed reforms to Māori land law. 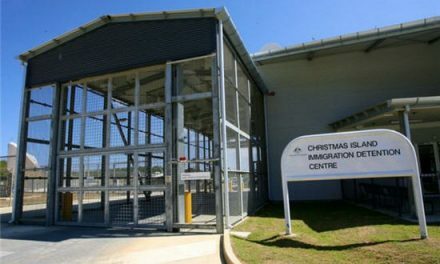 Flavell may have seen the reforms as a legacy project, but they were poorly planned, with criticism coming from all sides. The judges of the Māori Land Court submitted against, as did dozens of land-owning organisations. Only a month after signing the kawenata with Flavell, Harawira told media the reforms were a “poisonous and destructive cancer”. Flavell decided that Māori land reform was a priority for him. This was a colossal blunder. 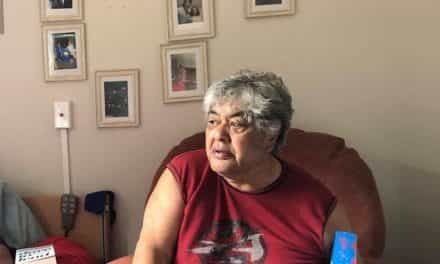 His voters’ social deprivation statistics worsened each month as he trudged around provincial marae, meeting with tiny groups of bewildered owners. Sadly their aspirations could only be met by his government providing capital to develop Māori land. Sitting at the table became both the means and the end. In fact the party never sat at the table — at least never at the Cabinet table — with Turia, Sharples and Flavell working as ministers outside of Cabinet. Politicians with decision-making power over their own portfolios, yes, but with decision-making power over little else. Political progress is the outcome of competing social forces, not the outcome of manoeuvring by pragmatic insiders. Whaitiri understood this, building a coalition against Flavell’s reforms that included politicians, judges, land owners and voters. Flavell pinned the reform’s success on securing a majority in Parliament. On this count, he won, securing a majority at first and second reading. But the polls — and the vibe — turned. This is the difference between insiders and outsiders: insiders understand reform as a parliamentary battle — who can win the votes; outsiders understand reform as bottom-up — who will win the support of voters. Perhaps in a different year, the reforms might have made their way through a third and final reading, but in a tight election Flavell could not manage the damage and the reforms were shelved at the committee stage. Criticism over Āpirana Ngata’s land reforms forced his resignation from the ministry in 1934, the end of an otherwise glittering career in law and politics. Matiu Rata left Labour in frustration at the compromises his leader, Bill Rowling, sought in Māori policy, including compromises over the scope and powers of the Waitangi Tribunal –— Rata’s legacy and the most significant reform to happen in Māori land since Ngata’s development schemes. One can argue the same thing helped end Flavell’s career — land. Metiria Turei “transformed the election”. But land does not wreck every career. Welfare brought Green Party co-leader Metiria Turei’s career to a close, the media swallowing her whole after she admitted having cheated the system to feed her daughter. “Like most people who receive a benefit, I was so careful about managing my money,” Turei told the Greens’ annual conference in July. I’d go to the bank every fortnight on dole day. I’d withdraw all my money, in cash, then split it up into small amounts, wrapped up in rubber bands with little notes about what it was for. I knew exactly how much I had for our bills, our rent, our food. But whatever way I split it, I still didn’t have enough to get by at the end of the week. People who turn to the state in tough times know this. You can survive — just — but not thrive. And win she did, at least in the first poll post-speech. The Greens surged to 15 per cent, with Labour slumping to 23 per cent. This is the moment, future historians might write, where everything changed. Little, in a remarkable self-sacrifice, stood down two days later. The rest is history. 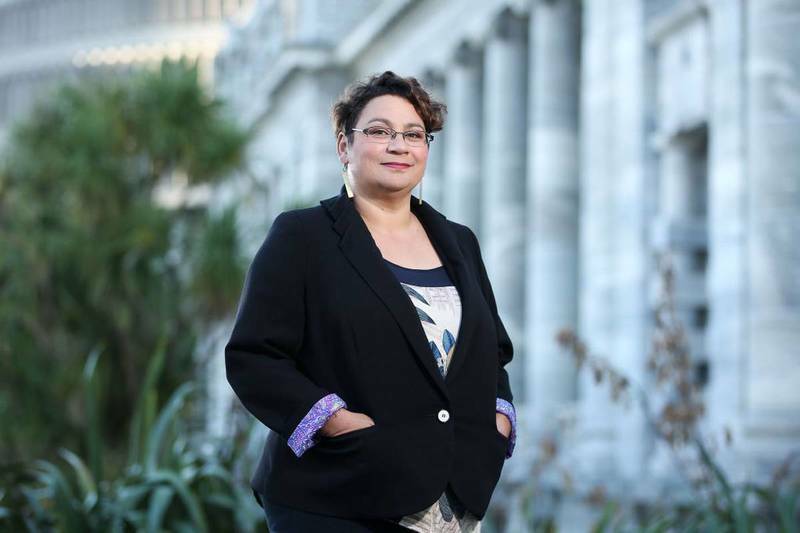 Turei ruled herself out of Cabinet. She resigned from the co-leadership the following week. “Change always comes at a price and today that price has been paid,” she told a packed press conference. What went unsaid is that Labour set the price, with Ardern’s team telling the Greens’ leadership she would rule Turei out of any future Cabinet. In a better world the left would stand in solidarity. But self-interest drives elections, and the move helped Labour catch up with National in the polls, picking up at least half of the Greens’ support along the way. This left Turei with potentially one road back to Parliament — Te Tai Tonga. Not that many people were expecting her to win that seat. 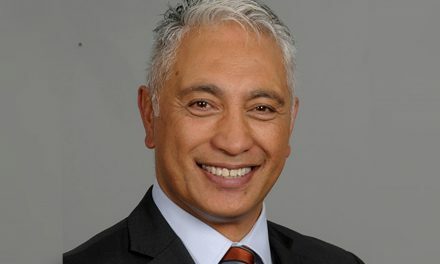 The incumbent, Labour’s Rino Tirikatene, is a third-generation MP: nephew of the first Māori woman to serve in Cabinet, Whetu Tirikatene-Sullivan, and grandson of the first Rātana MP, Eruera Tirikatene. Together the whānau have served Te Tai Tonga for 70 years. One can imagine him serving as long as he likes, perhaps taking Tirikatene service to a century. Turei transformed the election, and transformed what many people expect of politics and politicians, but Te Tai Tonga would never return her to Parliament. Rino Tirikatene is fêted across the electorate, lifting his share of the vote at every election he contests. In 2016 he made headlines after travelling to earthquake-stricken Kaikōura to help out in the kitchens at Takahanga marae. This is what it means to serve as a Māori electorate MP. It seems scarcely imaginable that the same would happen in a general electorate. Does anyone remember Gerry Brownlee shovelling liquefaction in earthquake-stricken Christchurch? Of course not, but no Māori MP would ever get away with not doing it. Sometimes Māori politics is a world of its own, with mind-bending contradictions like (in this case) a third-generation MP representing the workers’ party. Even Willie Jackson, a former trade union official and workers’ champion, is the son of Dame June Jackson — recognised in the 2010 Queen’s Birthday Honours list for her work with prisoners, urban Māori and the Waitangi Fisheries Commission — and the nephew of Māori society’s greatest intellectual, Moana Jackson (awarded an honorary doctorate from Victoria University in 2017 for his legal scholarship relating to the Treaty and to debates about the treatment of Māori by the justice system and in New Zealand society more generally). From here you might accuse Labour of running a hereditary racket. Nanaia Mahuta is the daughter of Sir Robert Mahuta, the lead Treaty settlement negotiator for Waikato-Tainui and brother to the late Māori Queen Te Atairangikaahu. 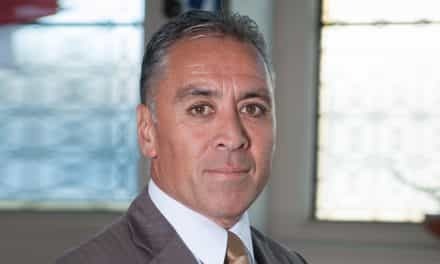 Adrian Rurawhe is the grandson of former Western Māori MPs Matiu Rātana and Iriaka Rātana, as well as the great-grandson of the Rātana Church founder himself, Tahupōtiki Wiremu Rātana. Peeni Henare, Labour’s Tāmaki Makaurau MP, is the great-grandson of Northern Māori MP Taurekareka Henare and nephew of former National MP Tau Henare. In Mother England these people are known as “the Tories”. But Māori politics runs off of different understandings. Whakapapa matters, in the literal sense of who you come from, and even more in the sense of who you connect to. Jackson is the perfect candidate, not for his famous mum and uncles, but for his own and his whānau connections to South Auckland. The same goes for Rino Tirikatene and his connections across the South Island, Mahuta and her connections across Hauraki-Waikato, and so on. Labour’s Māori MPs live and work in two worlds, relating to Māori voters as Māori, but also as workers, citizens and more. The problem for the Māori Party is it never did the same. This gets right to the heart of the matter. The Māori Party were speaking to Māori as Māori. But were they speaking to Māori as workers? As citizens? Perhaps not, and this makes for bad strategy. In one survey only 38 per cent of Māori could name all of their pepeha identifiers — ancestral landmarks, waka, hapū, and so on. This 38 per cent are the kaupapa people Fox was referring to, and the kaupapa people Flavell referred to in his valedictory speech at the post-election conference in December, the people among whom the Māori Party is competitive. But competing among less than half of the electorate does not a winning strategy make. If the Māori Party is to ever return to Parliament, it must become competitive among the “other” 62 per cent. This is where we take our bets: will the party ever return to Parliament? It seems possible, if not probable. The Māori Party can take credit for transforming New Zealand politics, helping National abandon the politics of Orewa and making a Māori party seem not only normal but necessary. We can credit their MPs for the repeal of the Foreshore and Seabed Act; for signing the United Nations Declaration on the Rights of Indigenous Peoples; and for implementing Whānau Ora, a far better model for social policy than their National partner’s social investment approach. But there’s the rub: their “partner”. Māori voters might send the party back to Parliament in 2020, but only if its leaders put enough distance between themselves and National, and perhaps admit that Bill English and National did not really deserve another three years. This is an extract from Stardust and Substance: The New Zealand General Election of 2017, edited by Stephen Levine and published by Victoria University Press.